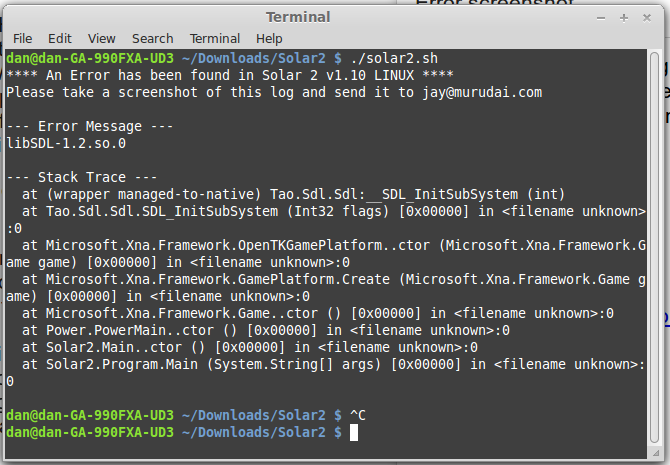 I installed this *.deb package in the end rather than unzip the tar file. I think the error was generated because I used an improper switch with the tar command. I’m glad the developer included a way to report the bug. I don’t always do these things, and the extra step of taking a screen capture from the linux command line nearly put me off.